A hospital patient's death following his arrest for alleged abusive behaviour is being investigated by the Garda Ombudsman. Father-of-three Daniel McCormack (40) died suddenly on Saturday night after he had been released from custody. He had earlier gone to the Midland Regional Hospital in Mullingar with chest pains. However, gardaí were called to the hospital amid claims that Mr McCormack was abusive towards staff, and he was arrested for public order offences. He returned to his home in Raheen, Mullingar, after being released but fell ill.
An ambulance was called and he was brought back to the hospital where he had sought treatment earlier that evening. He was pronounced dead soon after. A separate inquiry into the circumstances is being conducted by the Ireland East Hospital Group (IEHG). 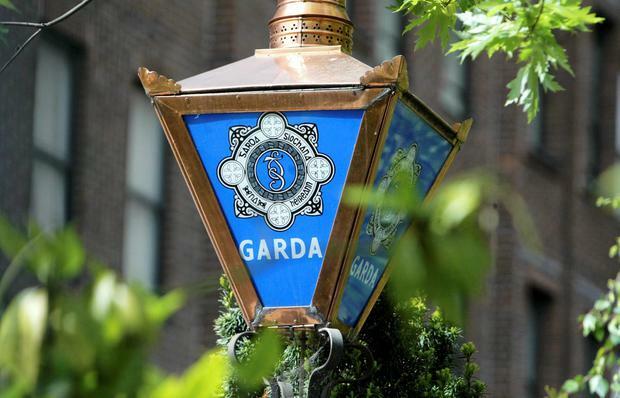 The Garda Siochana Ombudsman Commission (GSOC) was notified of the incident on Saturday night by a local Garda superintendent. GSOC said last night the case had been upgraded to an investigation under Section 98 of the Garda Siochana Act 2005. The upgrading does not imply any wrongdoing, but means that all circumstances surrounding Mr McCormack's death will be investigated. CCTV footage from the hospital will be examined, and the results of a post-mortem will help determine the course of the investigation. Mr McCormack's family have claimed he did not receive treatment at the hospital prior to his arrest. A spokeswoman for the IEHG would not comment on whether the deceased was treated or assessed before his arrest. "Regional Hospital Mullingar cannot comment on individual patient cases," she said. "The hospital is conducting a review of an incident which occurred this weekend. We have no further comment at this time." A relative of the deceased, who asked not be named, described Mr McCormack as a "quiet" and "hard-working man" who was dedicated to his family. "Danny had a pain in his chest for two days and gradually it was getting worse so he went to hospital," the family member told the Irish Independent. "He was there for a while in obvious pain and asked could he be seen, he was in an awful lot of pain." The family member said they understand a staff member at the hospital contacted gardaí, but they don't know why this happened. "He didn't receive any treatment and the guards took him away," the relative added. "We don't know whether he was taken to the station or not." The family member claimed gardaí brought Mr McCormack back to his family home. "He fell in the hallway and dropped dead in the house," he added. "He was never without his wife and kids. We want answers from the hospital and the gardaí. Why wasn't he treated when he was having chest pains?" A Garda spokesman said the matter was referred to GSOC under section 102 of the Garda Siochána Act 2005. "As this is now a Garda Síochána Ombudsman investigation, we will be making no further comment," the spokesman added. A death notice posted by the family asked mourners to make donations to the Irish Heart Foundation. "He will be deeply missed by his heartbroken wife Hazel, his adored children, Daniel, Caragh and Grace, his mother Mary, brothers Peter, Noel, David and Robert, sister Geraldine and grandmother Christina." His funeral will take place at the Cathedral of Christ the King on Thursday at 10am followed by burial in Ballyglass Cemetery.